2 people in the home: Every 5 years. 4 or more: Every 2-3 years. Should I add any additives to my septic system? With all the Anti-bacterial soaps, detergents, cleaners and bleaches, I would not waste your money, the key is to pump your septic tank as regularly scheduled maintenance, just like oil changes in your car, it’s that important! Do I need risers on my septic tank? Out of sight, out of mind. It’s easy and cheaper if you see the lids of septic tank as a reminder to pump it as needed PLUS, you won’t have to pay an extra $75.00 – $150.00 to dig up the lids every time you pump. As long as you pump your septic tank regularly. Can I pour grease down the drain? I wouldn’t, but as long as you pump your septic tank as needed. How long is my septic system warranty? 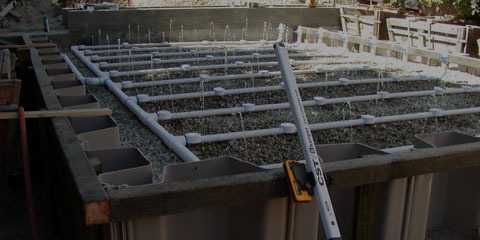 On The Level Septic Systems will warranty all plumbing in the scope of our work. 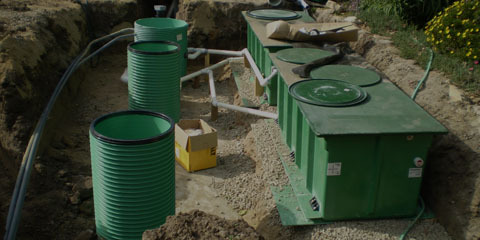 Septic Tank manufacturer will warranty the tank. Leach fields are dependent on owners use of water, i.e. leaky toilets and faucets, water softeners and RO Drinking Water Systems effect longevity of leach fields. Who do I call if there are any problems in the future? 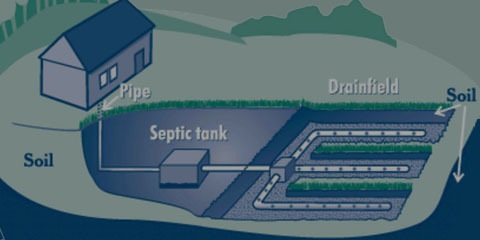 Please contact On The Level Septic Systems.